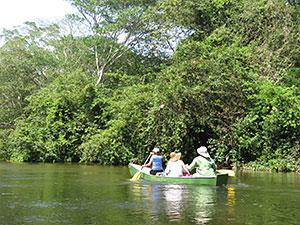 Morning Canoeing on the Macal River. 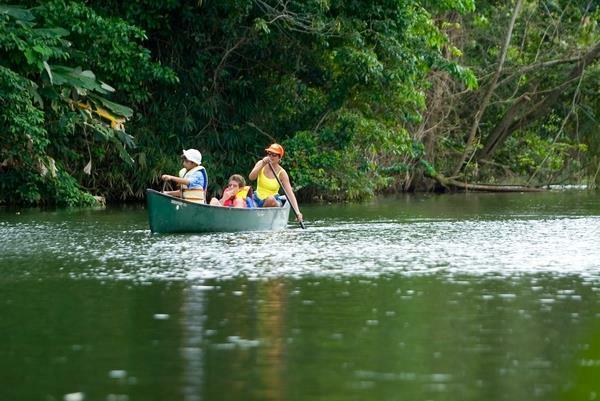 While canoeing we have the chance to see Neotropic Cormorants, Mangrove Swallows, Kingfishers, Gray-necked Wood-rails and other wildlife that frequent the riverbanks such as iguanas sunning themselves on the rocks and trees. 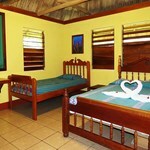 Enjoy the fresh air and the beauty of the Belizean country side, while on your way to one or more of the attractions. 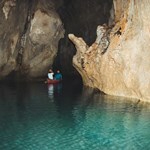 If the water level of the river is low enough, you will ride over some hilly but scenic terrains and through jungle trails leading to great swimming holes. 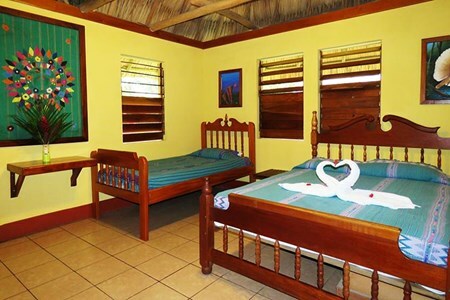 Belizean owned; Crystal Paradise Resort is located in the lush jungle alongside the beautiful Macal River, a secluded location only a two-hour drive from the Belize International Airport ... moreand only 3.5 miles from the Town of San Ignacio. Each cabana designed and hand built by the Tut family, offering the best accommodation for couples, friends, and families traveling in search of a unique Belize Vacation and Adventure. The Tut brothers are known for their great birding experience for over 20 years, making our family resort the #1 Birding Resort in Belize. Our open deck and dining area will make each meal a Belize Paradise Experience. Belizean Cuisine served daily and prepared by the Tut Sisters with fresh vegetables from our Farmers Market. Our large Belizean family runs this eco-lodge as a team to offer you the finest Belize accommodations & meals along with a wide variety of activities & tours. 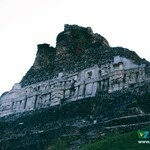 Crystal Paradise has been a favorite in Belize travel for more than two decades.